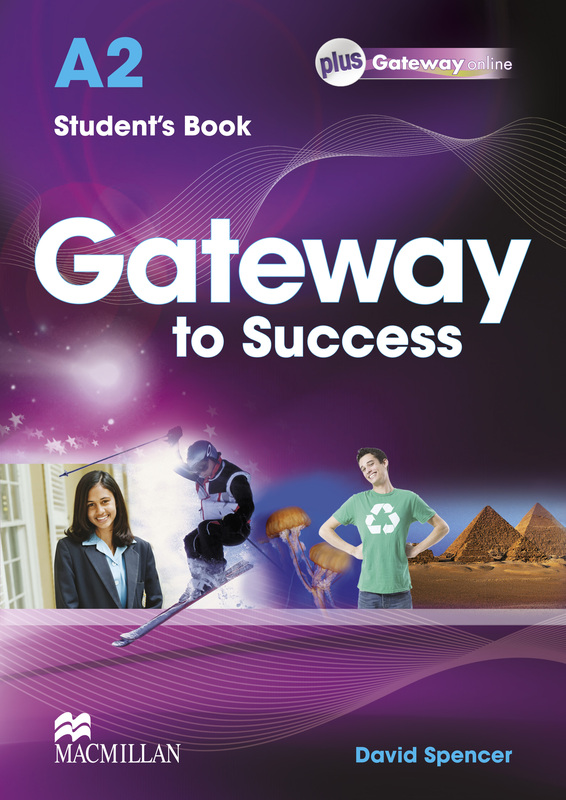 Gateway to Success is an academically rich five-level general English course designed to lead teenage students to success in school-leaving/university entrance examinations, and prepare them for university and the world of work.  Exam preparation - exam style practice activities throughout the unit with exam and study skills tips.  Gateway to Exams sections after every 2 units will practice ‘new’ language and have a cumulative element; recycling language from all previous units. Assessment will direct students to revision or extension in the WB.  Extended study skills and exam skills section at the back of the book connected to hints and tips in the units.  Authentic texts - or texts appearing to be authentic - will be longer/more weighty than in current young adult courses which are used in this segment – activities (grammar and skills) will fully exploit texts.  CLICK (Cross-curricular, Literature and International Cultural Knowledge) pages blend market need for content-based, cross-curricular and literary/non-literary texts into one section and will work on integrated skills.  Grammar - Approach to grammar will be inductive and grammar will be taught in context.  Each unit will end with a Language reference and revision pages with grammar/vocabulary reference pages and revision exercises.  Developing Writing and Developing Speaking pages with staged activities and models will help students prepare and present key skills more effectively.  Active role of the learners will be highlighted throughout. 'Can Do' Progress Checks at the end of every 2 units; interactive web activities can be marked and monitored by the students (and sent to the teacher); study skills focus.  Vocabulary features will help students build and extend their vocabulary - bespoke Gateway dictionary for each level in the back of each WB, Developing Vocabulary sections throughout SB and WB, Word Booster activities on CLICK spreads, interactive wordlist self-study tool on Gateway Online. All vocabulary features are heavily branded to cross promote MED.